Drop a stitch or fixing minor mistakes? This size F/5/3.75mm crochet hook will be your best friend! 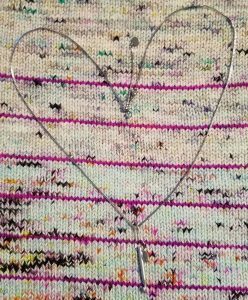 Comes on a bulb pin to use as a stitch marker, attach to a necklace, clothes, or keys. At 1.5″ you can stuff it in a pocket and not hurt yourself when you sit down. Also fits nicely in your tin or notions pouch. 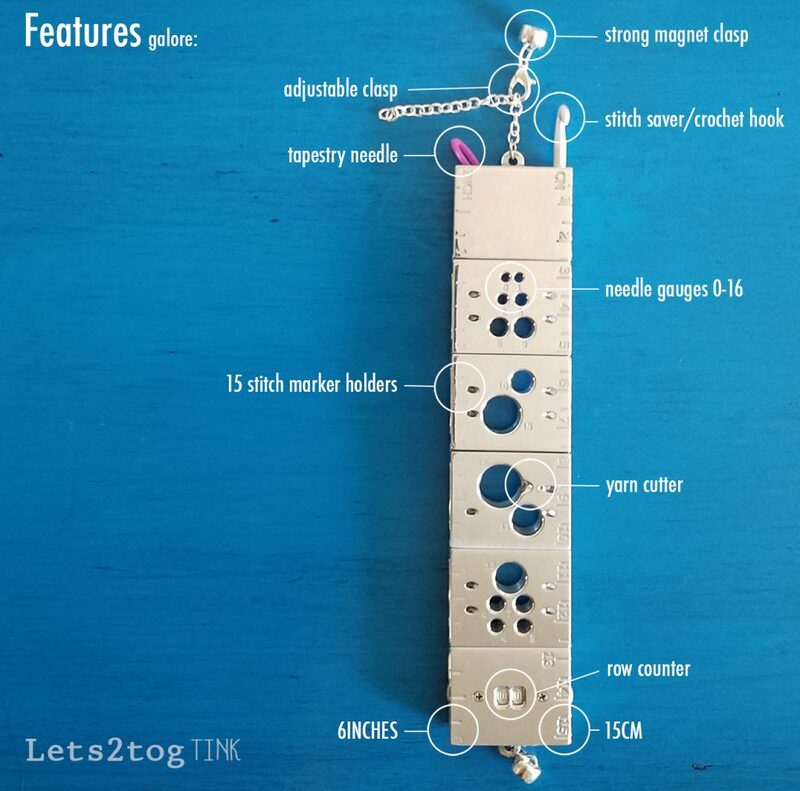 The first in the lets2tog line of wearable tools, and at $4 it’s a steal, what’s not to love?! Paypal or Bitcoin accepted! This completely adjustable 30″ / 76cm stainless steel box chain will always be the perfect length and never tarnish. 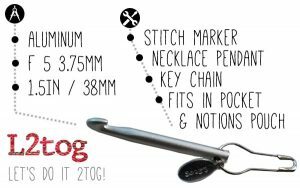 Easy to pop over your head without unclasping and perfect for holding your stitch saver [shown here] and other wearable knitting tools! Never reach for your notions again! So attractive, only $20, what are you waiting for!